Klipsch Image X7i review | What Hi-Fi? Klipsch knows what it’s doing when it comes to earphones. 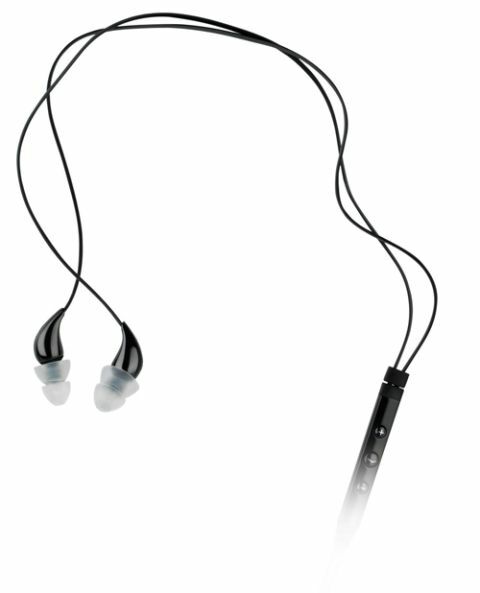 Its £210 Klipsch X10i model was our premium in-ear of choice when it came to 2011’s Awards, and its predecessor the Klipsch X10 had been high on our list ever since its launch in 2008. The Klipsch Image X7is sit just below the X10is in the range. They aren’t as luxurious-looking as their more prestigious siblings, but Klipsch’s designers definitely haven’t been caught napping. The flat, anti-tangle cable is attached to a substantial three-button remote-and-mic unit (a little too big for our tastes, to tell you the truth), at which point it splits and heads up to the small, tadpole-shaped enclosures. You get the usual complement of silicon tips in the box – two pairs of flange-types and three pairs of regular ones (including a vanishingly small set – so if you happen to be a baby and you take your nursery-rhyme reproduction seriously, you’re in luck). There’s also a clip for fastening the cord to your clothes in a bid to reduce cable noise, and an airline adaptor for listening aloft. Getting the ball rolling with Hepcat’s upbeat No Worries, we find ourselves grinning at the bouncy, entertaining sound. It’s an upfront presentation, but warm with it – and pretty balanced across the frequency range. The low end of the frequency range doesn’t want for heft. There’s plenty of bass here, and it’s detailed too, which says a lot for the X7is’ dynamic ability. You can hear the strike of pick on bass-guitar easily in the likes of Van Halen’s Runnin’ With The Devil and the double-bass sound in Bebel Gilberto’s lounge-tastic Samba a Bencao is good and rich. A slight loss of composure in the bass when the music gets really complicated is the only fault we could find here. Upstairs in the midrange department, vocals are warm and packed with information – you can hear mouth-shapes being made – while percussion instruments sound as realistic as we could hope for at this price. The treble is similarly composed and articulate, integrating well with the midrange and providing a glassy sheen to acoustic guitars, cymbals (which sound like they’re made of metal), snare drums (which crack and fizz convincingly) and vocals. It can be easy for manufacturers to over-egg the top-end in an effort to extract detail, but Klipsch has exhibited just enough restraint here to stop the sound tipping over into hardness. We really like these Klipsches. They deliver in every aspect of their performance – from detail and dynamics, to frequency balance, to comfort. Apart from that tiny lack of composure to bass, we can find very little to fault – so it’s a well-deserved five stars.